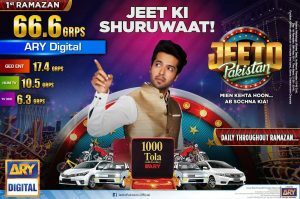 Jeeto Pakistan has broken the TRP records! 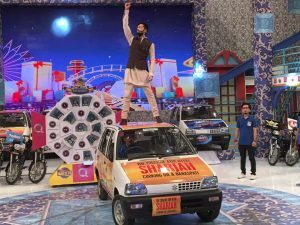 According to the news Fahad Mustafa’s Jeeto Pakistan has broken all the TRP records on the first day of Ramadan. The show left behind all other channels in the race. With Amir Liaquat giving out helicopters this season Fahad’s SOCH LO still stood out as a winner. The show is as usual packed with prizes with the gold increased to 100 Tolas. May be the world is more interested in Q-mobile ki car than Rehmaton bhari Iftaar! Share your thoughts on this!